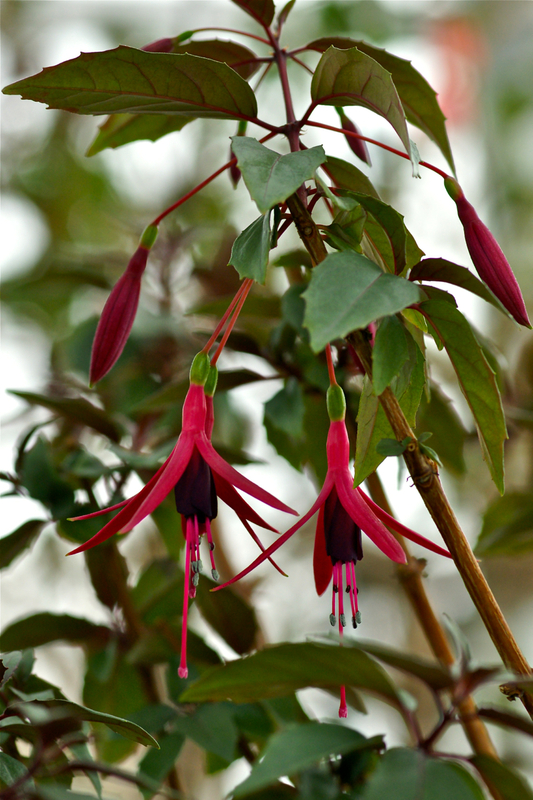 Home » Allgemein @en » ‘Naaldwijk 800’ is the Fuchsia of the Week 15/2015. The new hybrid was introduced in 1998 on occasion of the 800’th anniversary of the city Naaldwijk, situated in the southern Netherlands. Quite some of the hybrids of this breeder descent from the Fuchsia “Insa”, a hybrid crossbred by Karl Strümper from Germany. 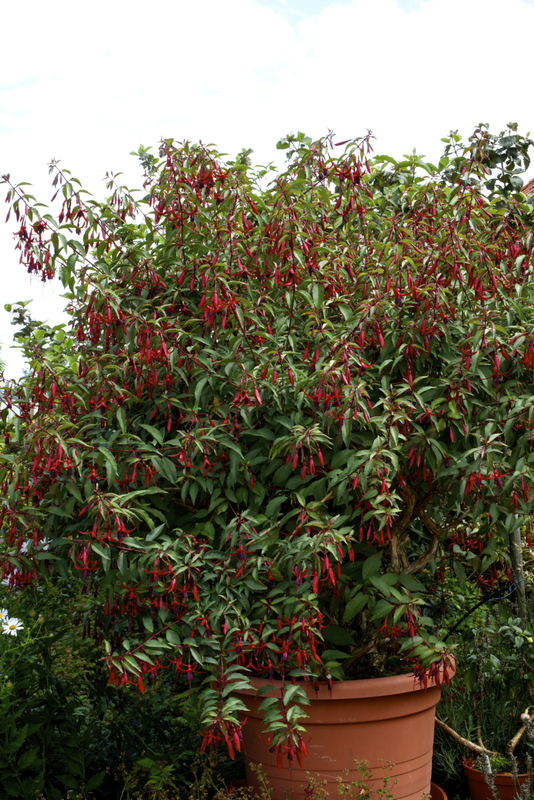 “Naaldwijk 800” is a stout, semi-hanging hybrid, growing very long branches and should therefore be cut back regularly. 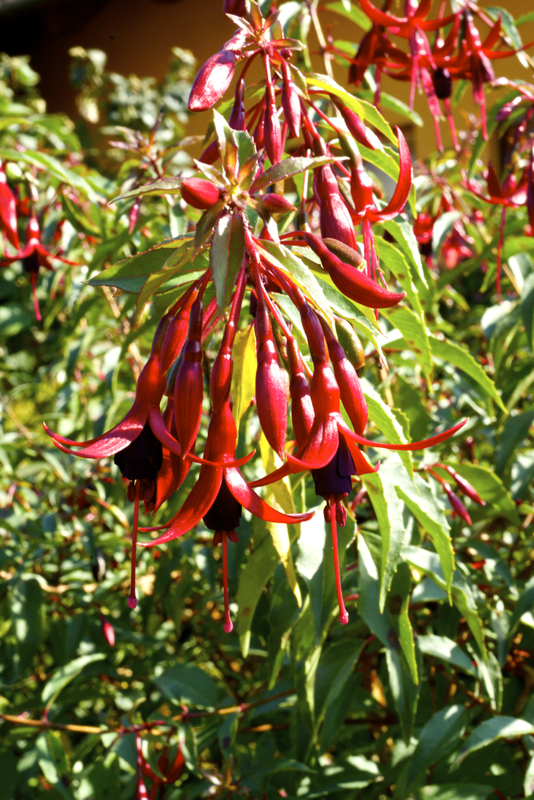 Given that it will flourish until frost with striking single blossoms showing lucent red sepals and aubergine-colored corollas. In my opinion this hybrid benefits from tolerating direct sunlight and rain and wind well. Overwintering is easy, but branching out is quite late, but rapid if started. The hybrid may as well be grown as a hanging basket or- given enough sustainers and treated with patience- as a large bush. Propagation is easy,the same as shaping the plant to one liking. Fortunately it is readily available at the Nursery Michiels in Belgium and the Nursery Bieri in Switzerland.